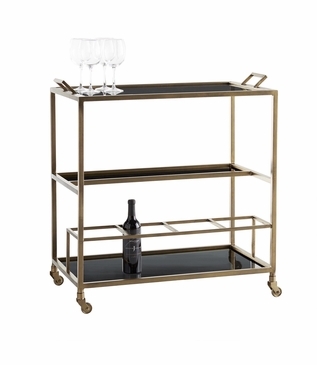 On-the-move style designed to wet your whistle. 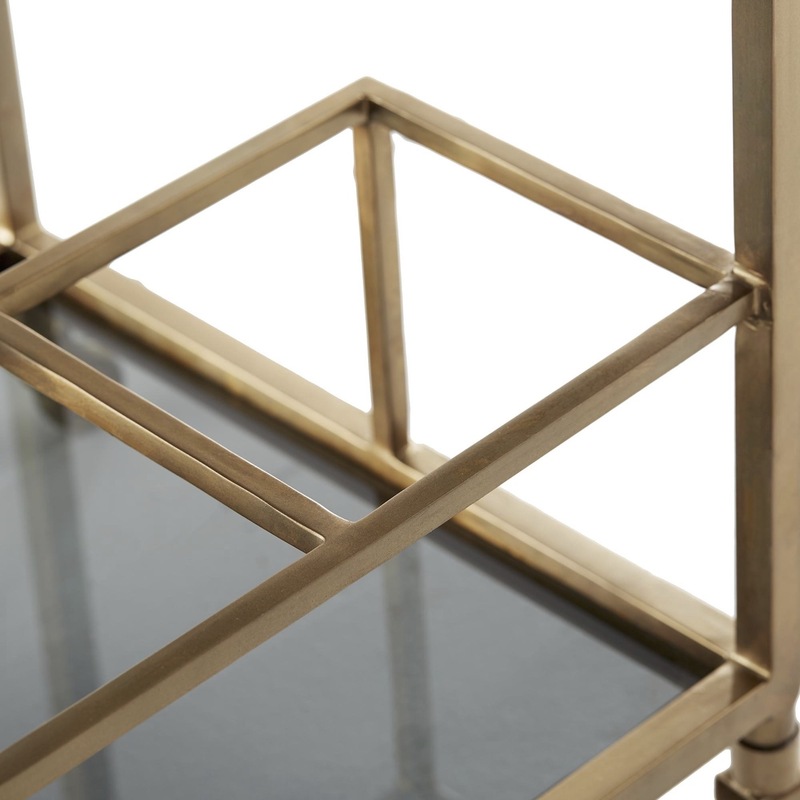 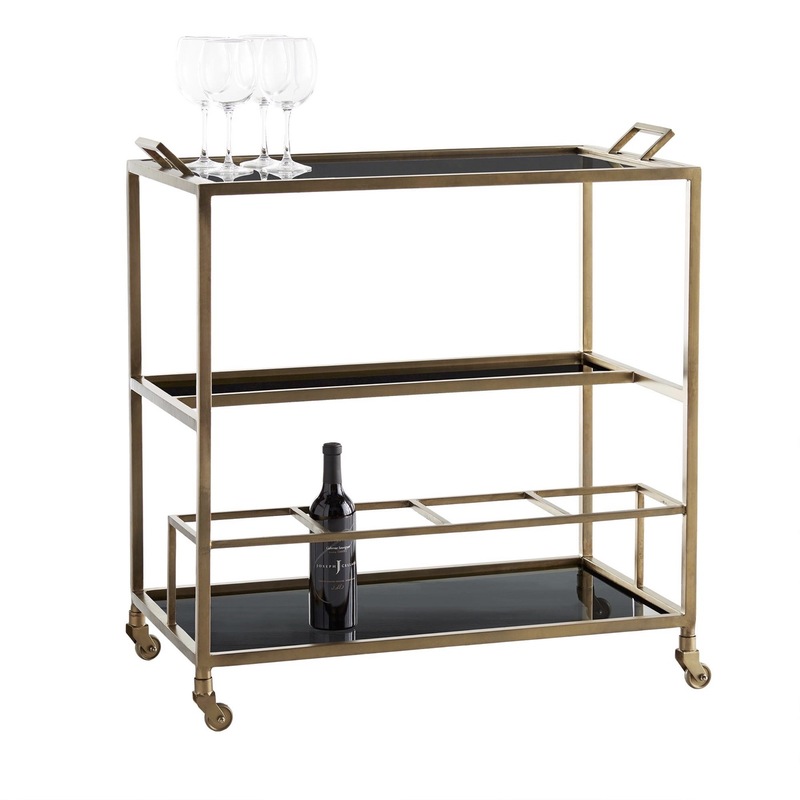 Finished in antique brass, this multi-tiered bar cart offers extensive opportunities for styling and entertaining. 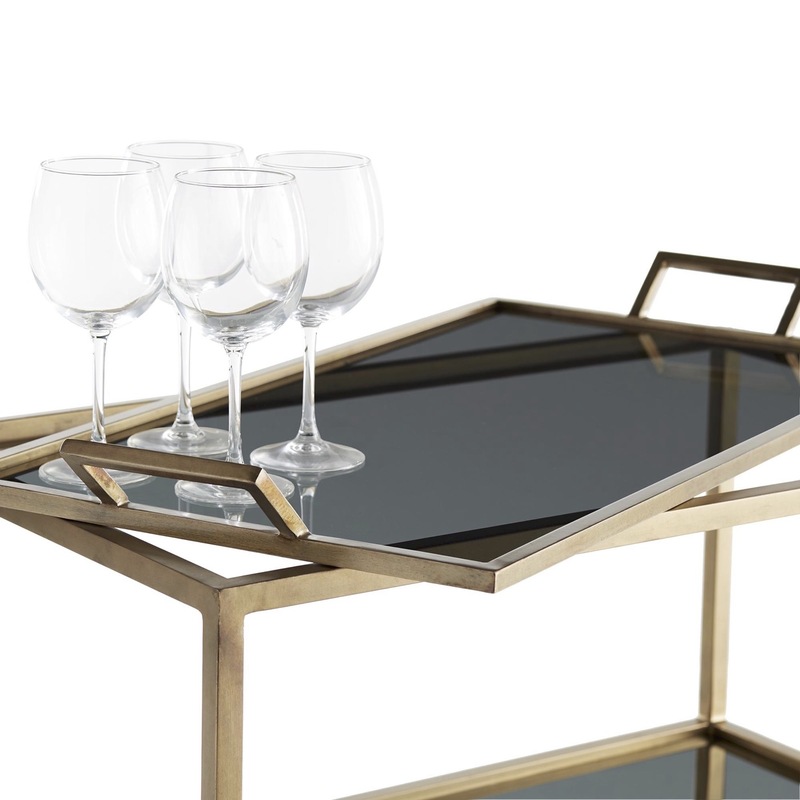 A party pleaser, the black glass tray top is removable so it's easy to be the perfect host for your guests. 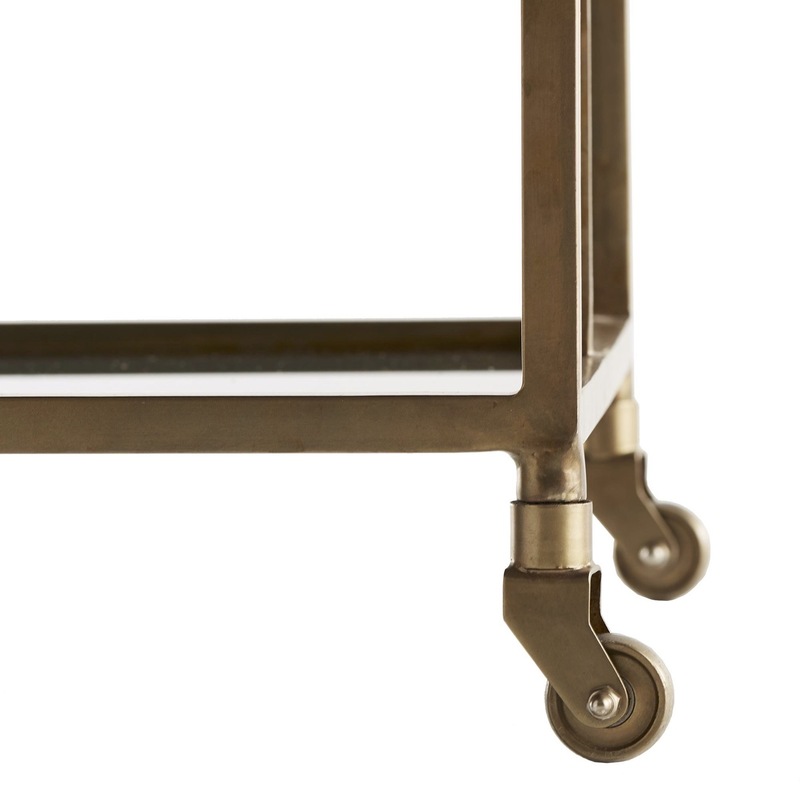 The cart sits upon casters to enhance its mobility even more.